Cisco, NETGEAR, Avaya – these are just a few of the vendors that your peers are considering when purchasing Ethernet switches. 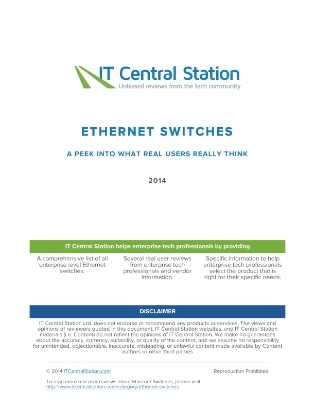 Find out what other IT experts are saying, as your qualified peers share their thoughts on the various options of Ethernet switches that are out there. Review the pros and cons of each while also getting an overall outlook and opinion on each product in this 14 page guide from IT Central Station.